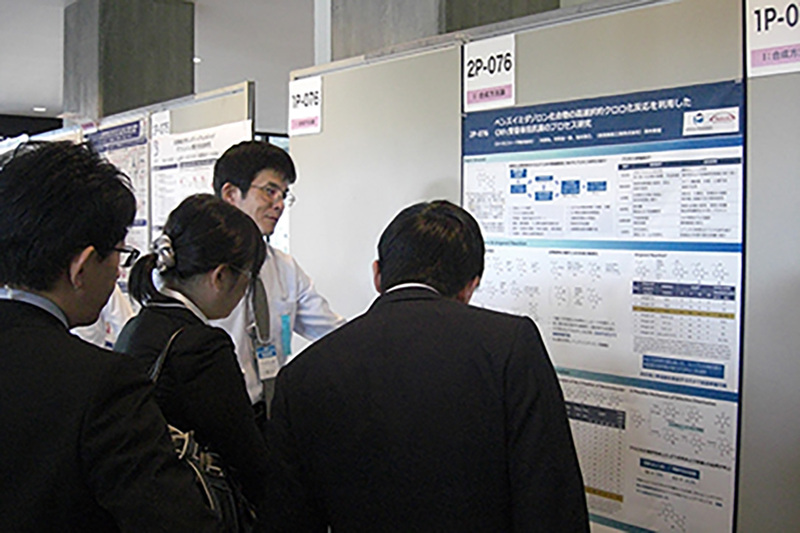 Poster presentation at The 35th Medicinal Chemistry Symposium | Spera Pharma, Inc.
A researcher in the Chemical R&D Division of Spera Pharma, Osamu Yabe, gave a poster presentation (2P-076) at The 35th Medicinal Chemistry Symposium, which was held on October 25∼27 in the Toyota Lecture Hall of Nagoya University. 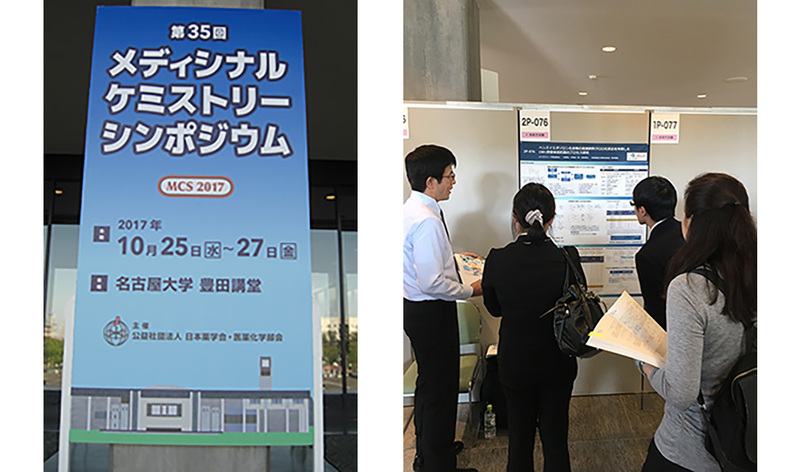 The poster was entitled “Process Development of a CRF1 Receptor Antagonist” and presented research done in Takeda, Pharmaceutical Sciences. There were few presentations related to process development in the symposium, so many questions were received from the researchers with interest in process development. Osamu remarked that through an active Q&A session, he felt he could make the attendees understand the importance of process development and the technical strengths of Spera Pharma, which gave him a great sense of mission for his future work.